Earlier this week the movie Baby Driver was relased on iTunes. I had seen the trailer for Baby Driver before it was relased in theaters and it looked interesting, but it wasn't something I was going to go out of my way to go see. Fast forward a few months and I was spending my first afternoon in Adelaide, Australia after just registering for the INCOSE Systems Engineering conference that was taking place all of the following week...and it started pouring down rain. It was a Sunday afternoon and with all the rain and me walking everywhere I went there was little else to do, so I ducked into a movie theater and watched Baby Driver. The music chosen for the movie combined with just how integral the music was to the entire look and feel totally sold this as a very entertaining and artistic production. Not to mention that is was a heck of a lot of fun! Music Mode: When you watch the movie in this mode you get the full audio of the movie but there are graphics that pop up throughout the movie that explain some of the background and history behind each music track in the film. Director Commentary: This version of the film has Director Edgar Wright talking over the video from the movie. Edgar Wright has had the idea for this movie for decades so he had quite a bit to talk about. 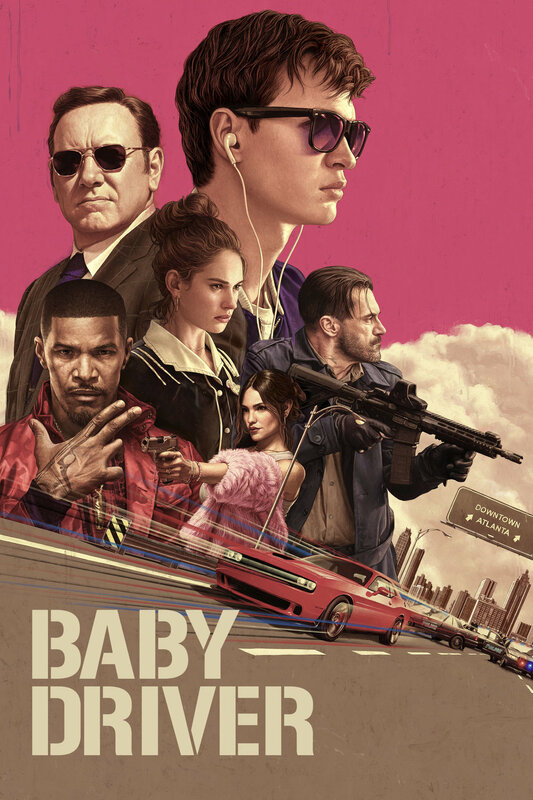 Commentary with Edgar Wright and Bill Pope: Bill Pope was the Director of Photography for Baby Driver so this version of the film has Edgar Wright and Bill Pope talking about the video production. Shooting the video footage of all the car chase scenes in the movie was quite challenging as you can imagine, so this commentary is extremely interesting. Storyboard Comparison Track: I've seen some movies have a scene or two depicted purely using the original storyboard, but I haven't seen anything quite like this before. The entire film is shown with the original storyboard drawings as a picture in a picture. They really did storyboard the entire movie scene for scene and it was pretty amazing just how close the final version came to the original storyboard. If you missed this movie in theaters you might considering buying it on iTunes and enjoying all of the really great extra materials that are included. You won't be disappointed.